Here at G.I.T this early summer, we began construction of a very large green house. It began by adding unto a previous structure made 2 years prior. The holes were laid out and dug, and then it was realized that the original structure was off center by just a few inches, which meant many feet at the end. In our efforts to build it rightly for future members of G.I.T., we uprooted the previous structure, keeping it intact, and moved it to the required spot. After all this had been accomplished, we began raising one green house arch at a time. Before we had constructed one hole, one arch, and set it up one at a time. Through learning and good leadership by my fellow student Daniel, we constructed all arches at once, laid out like dominoes. Thanks to his idea, we have put up 2 in a matter of 45 minutes, where as before it would maybe only be 2 in 2 hours. Currently we continue construction but hope to be well done the primary structure before the new moon of this month. The construction of the Green House has been a great task as well as an opportunity, and remains to be so for sometime. It has given spiritual insights as well as social insights in team work. Through the construction of this Green House, spiritual lessons such as the need to walk upright in faith through careful measurements and proper communication skills have become more clear, along with the reality that sometimes things may not be as they seem. We may see that in our walk through life, we develop habits, structures, that are all fine and dandy for that one to 5 arches, places in life. But as we walk them out longer and longer, that mere inch turns to a great gap, showing the entire structure to be crooked. How important it is to have a right foundation, a corner stone, Yahshua our messiah and husband, which from Him pours out true uprightness. 5 Trust in the YHWH with all thine heart; and lean not unto thine own understanding. One of my favorite projects since I arrived at GIT has been working in the vineyard. There are so many references to vines and vineyards in scripture. Israel is commonly referred to as a vine, Yeshua is called the true vine, and Gentiles who accept Yeshua are grafted in to that vine. 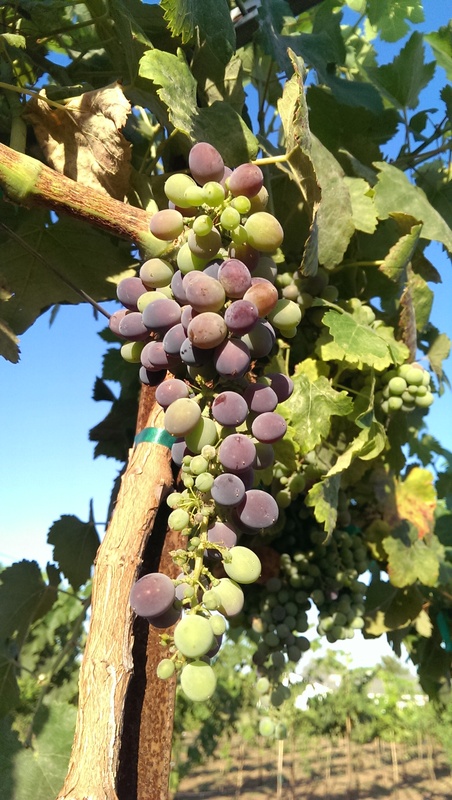 I would like to expound on a few interesting points I’ve seen while working in the vineyard. 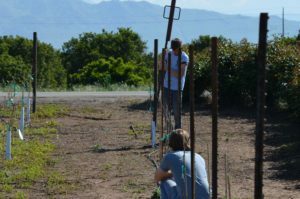 Our first project in the vineyard was to prepare and build the trellis system. This system is comparable to YHWH’s Torah. 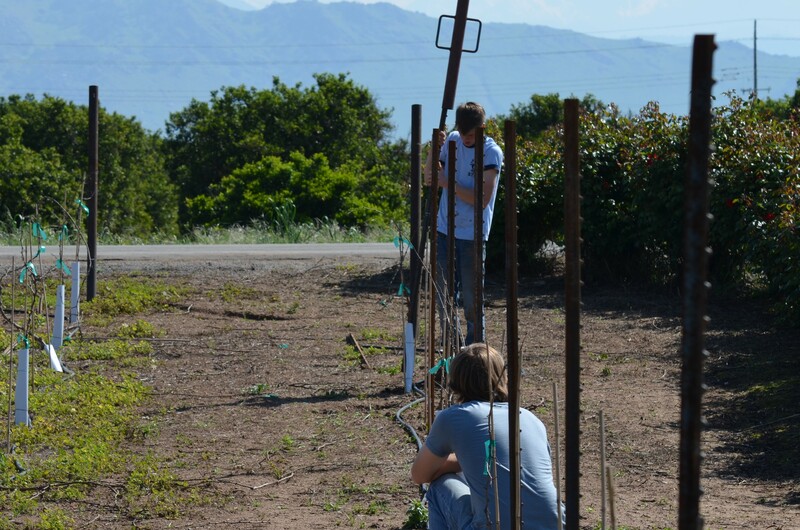 We had to drive stakes into the ground next to each vine, to give them a foundation to grow. After the stakes had all been put up, we had to run multiple wires down each row. There is a wire for irrigation at the base, one for a foundation for the main parts of the vine halfway up, and two at the top to support the fruitful branches. 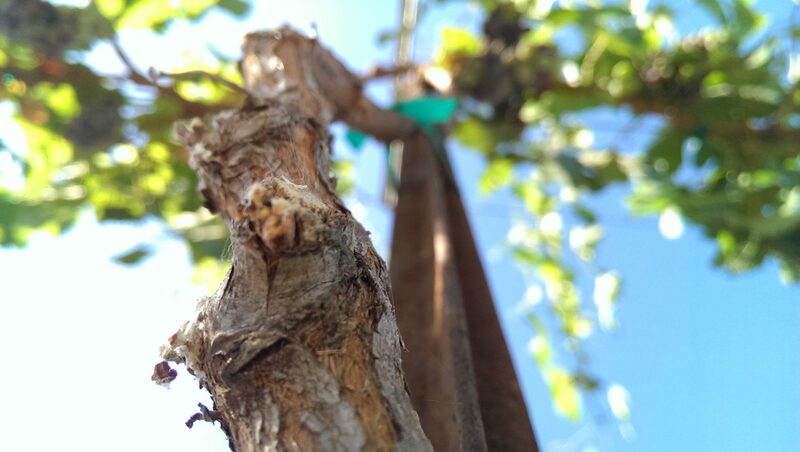 While the vine is young, it moves around, looking for a path to grow. If it isn’t secured to the stake, it will start to spread out on the ground. People are the same. If we aren’t trained up from children to be obedient to YHWH’s Torah, then we will go our own way. As the vine gets older, it hardens. If it hardens before it is fastened to the trellis, then you won’t be able to completely straighten it without breaking it. At this point you can still train it so that the main branches can follow the wire, but the consequences of letting it grow on it’s own will always be evident. This too, compares to people. A person who has lived their own way is not out of YHWH’s reach. 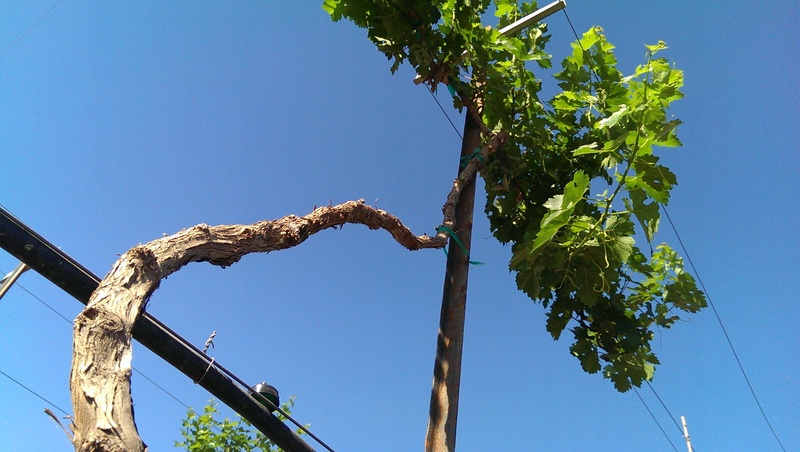 They can be trained like a vine to live according to YHWH’s Torah. However, though there is forgiveness, the consequences of their past will be there as a reminder of where they came from. 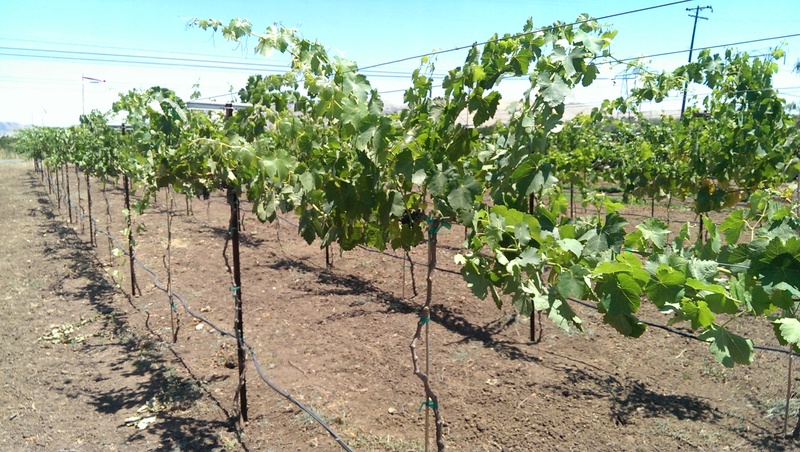 Some of the vines barely came up to my knees when I arrived at GIT. Building the Trellis system was hard work, and it took a lot of time. Even after it was built, and the vines had been attached to it, the results were not immediately seen. 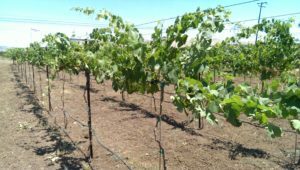 It is taking time, and a lot of care, to ensure that the vines are healthy, and that they are trained up correctly on the Trellis. However, with patience and diligence, the branches have grown, and they are producing fruit. The vine and the vineyard represent so many things. Parents are like vine dressers, and their children are their vines. It is the parents responsibility to train their children up in the right path. Also, each person is a vine. If we allow Him, YHWH will be our vine dresser, and He will train us up in His Torah. He will give us the water of His word until we begin to produce fruit. There is so much that can be gleaned from YHWH’s creation. I only scratched the surface of what can be said about the vine, and YHWH can be seen in all of His creation. I would encourage you, if you haven’t already, to get outside and look for YHWH. Plant some flowers; Grow a tree; start a garden. If you are diligent in your search, you will find Him.